Stop Chronic Pain with Effective Joint Therapy! While the dentists at Mt. Holly Family Dentistry are typically on the hunt for plaque, tartar and gum disease, it is far from the only issue they keep in mind during your routine exam. 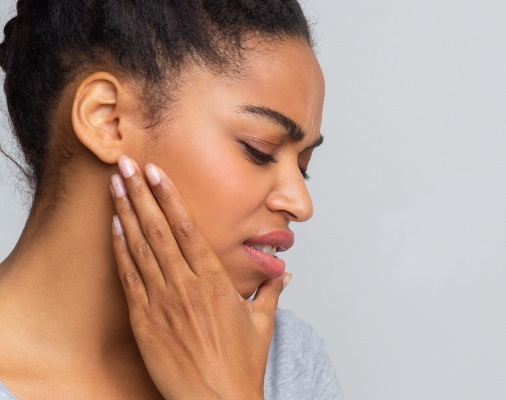 That’s why, if you’re experiencing chronic jaw pain or headaches, especially after waking up, it could mean that you have an undiagnosed jaw condition known as temporomandibular joint (TMJ) dysfunction or TMD. By treating your TMJ at our office, you can stop chronic pain and live your life to the fullest. Contact our office today to get started! It’s important to note that there are many causes for TMD, which is why the condition can be difficult to diagnose at first. However, the most common cause is chronic and unconscious teeth grinding, which carries its own host of issues (i.e. worn tooth enamel, tooth pain and sensitivity.) TMD can also be caused by a previous jaw injury, so be sure to inform our dentists of your current medical history during your visit. 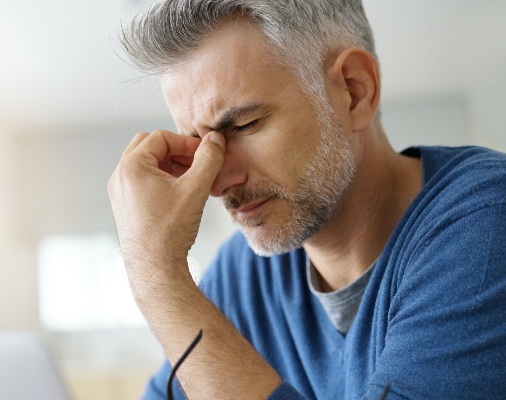 Regardless of the cause, leaving your TMD untreated will only lead to chronic pain in other areas of the body, including the neck, shoulder, ears, and upper back. It can also lead to tinnitus (ringing in the ears) and chronic migraines. TMD appears when additional strain or pressure is being applied to the jaw joints. In most cases, the most effective solution for treating this chronic condition is a custom-made nightguard. Not only does this device protect your tooth enamel from unconscious teeth grinding, but more importantly, it raises your bite and repositions your jaw in order for it to achieve the most comfortable position possible. After we’ve created your new nightguard, we’ll go over other common methods for managing discomfort caused by TMD. This may include daily jaw stretches, behavioral changes (such as avoiding chewing gum) and other therapies designed to mitigate chronic pain. If you’re experiencing chronic pain, feel free to give our office a call. We’re fully equipped to diagnose and treat the symptoms of TMD and get you waking up refreshed once again!